Miami, FL, October 24, 2017 –(PR.com)– No more waiting in line at City Hall. 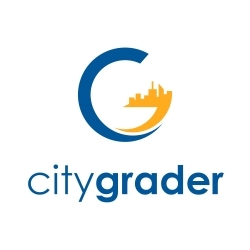 CityGrader is the first-ever online platform dedicated to increasing the quality and accountability of local governments through grades and reviews that come directly from the public. Now open for online membership at www.citygrader.com, CityGrader is set to promote civic engagement while improving government transparency and answerability. Through the CityGrader platform, members provide real-time feedback based on everyday experiences with public employees. Members can grade cities, counties, departments, and employees based on a number of factors including helpfulness, accessibility, traffic, schools, safety and more. As Public Partners, local governments can act on this feedback by interacting with members and helping them resolve their issues. Based on member feedback, Public Partners can work to improve the efficiency of public services, adjust policies to improve effectiveness, or identify and eliminate negligence or corruption. Every local government that becomes a CityGrader Public Partner pledges an oath to actively monitor feedback and engage with the residents they serve to improve accountability, transparency and public services. CityGrader.com is an online platform that allows members to provide feedback to their local governments through a grade and review system. The platform is user-friendly and simple to navigate. Participating local governments, called Public Partners, are supplied with an online dashboard to view feedback and connect with CityGraders to address concerns. CityGrader is the first platform to allow the public to directly weigh in on the people that work for them. For more information on CityGrader, please visit www.citygrader.com.